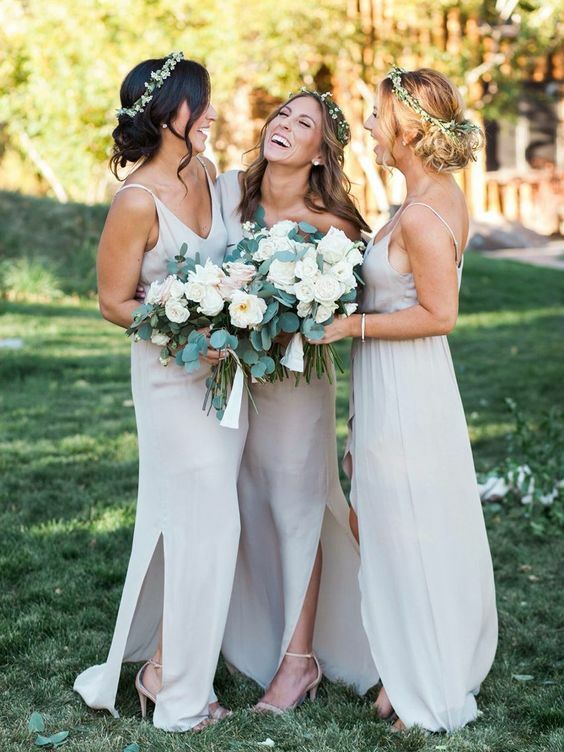 Summer wedding season is approaching and it’s high time to choose the last touches you haven’t chosen yet. 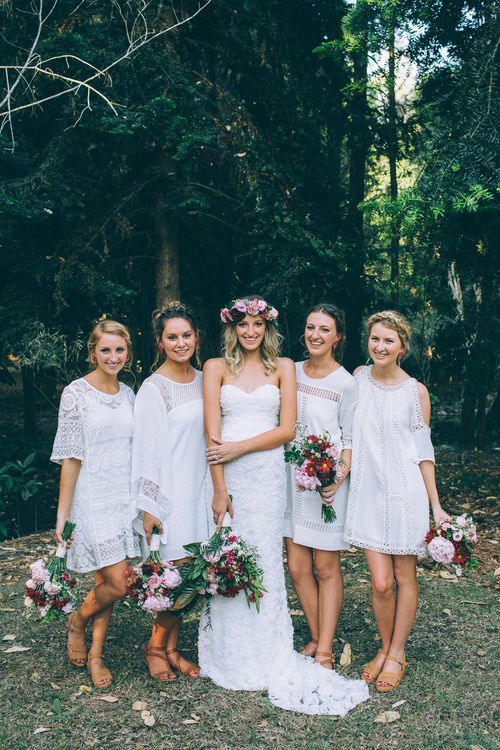 If you still haven’t decided what your gals are going to wear, I have some cool ideas for you! 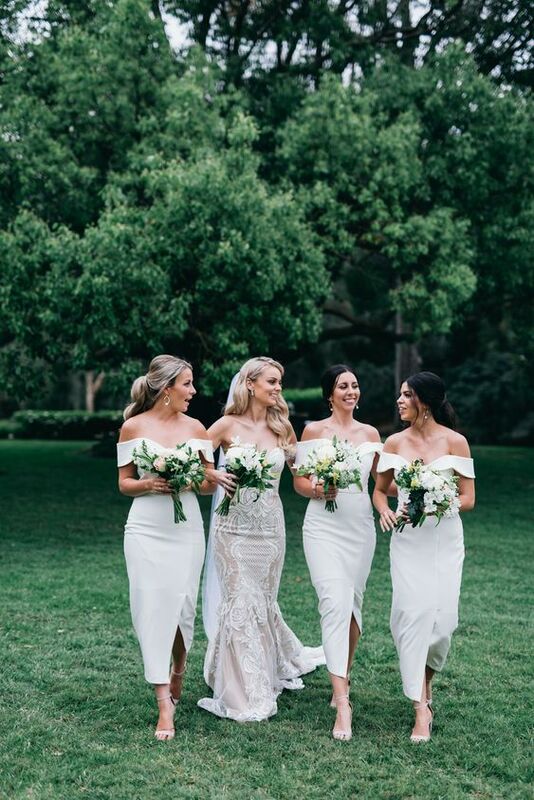 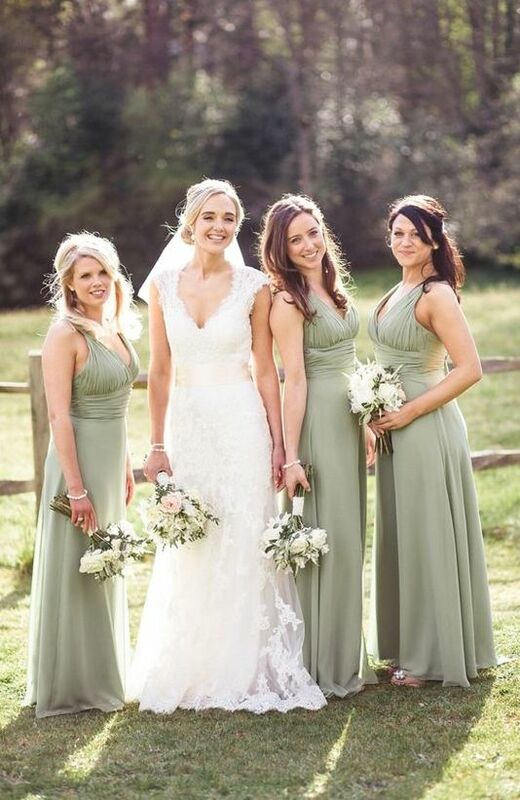 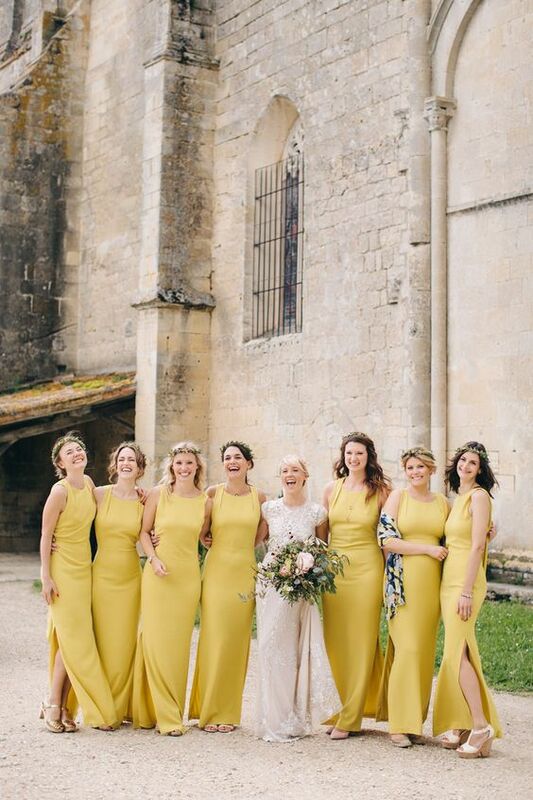 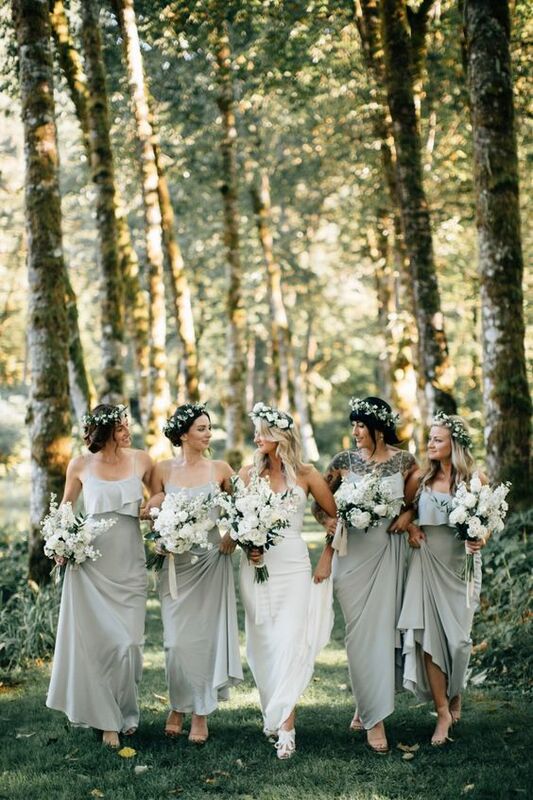 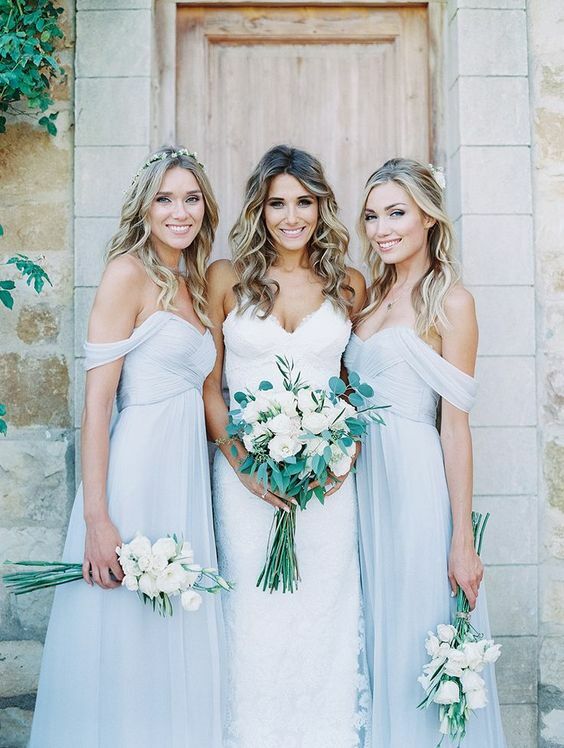 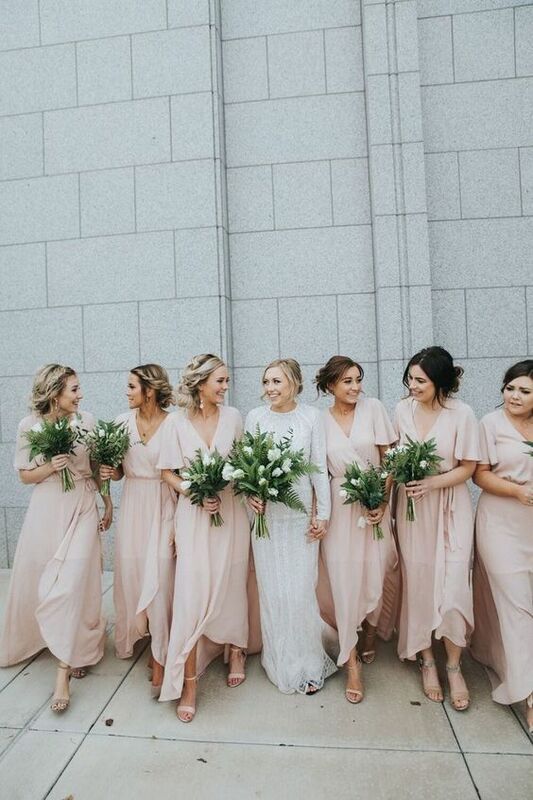 Summer bridesmaids’ outfits now have several trends and there’s always classics that never goes out of style, too, for example, maxi length and same gowns for everyone. 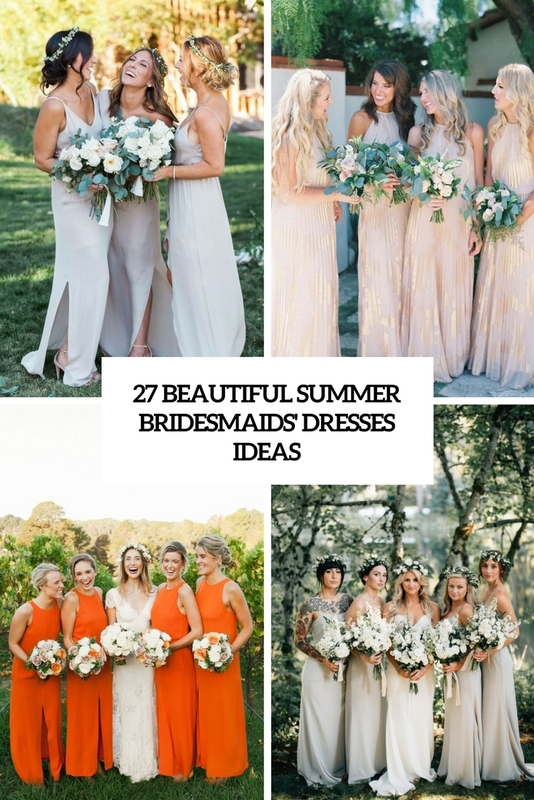 Let’s have a look at the coolest ideas with trendy touches, so that you could choose something. 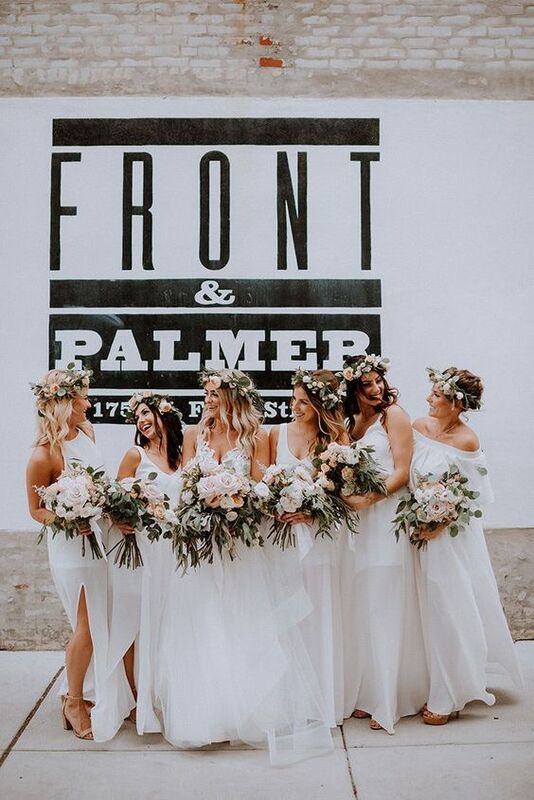 The trendiest choice for summer is white and off-white bridesmaids’ dresses that became popular a couple of years ago and have become so edgy that now they are almost classics. 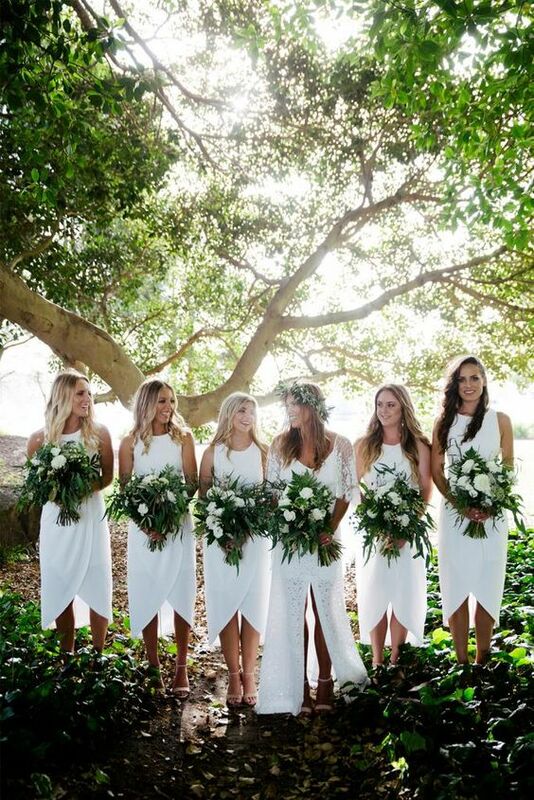 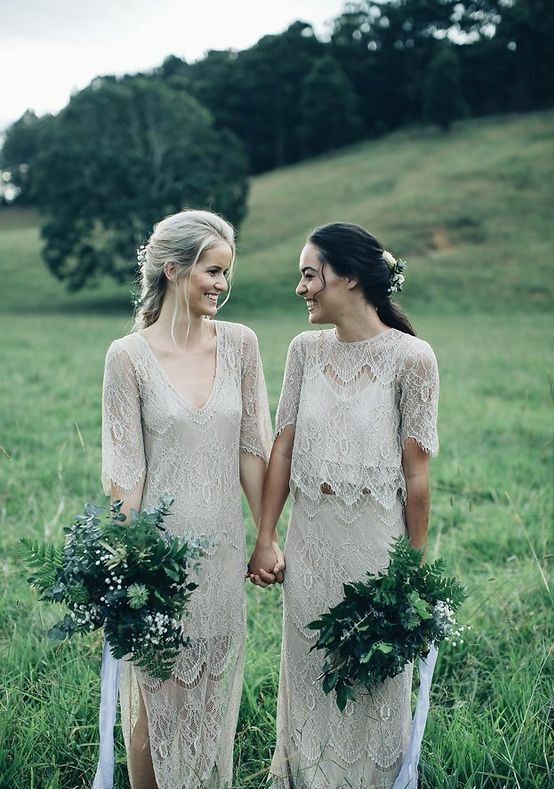 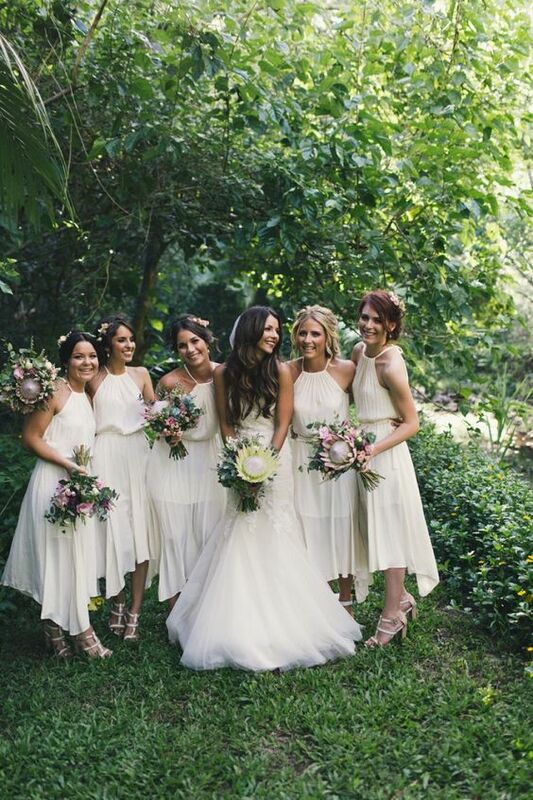 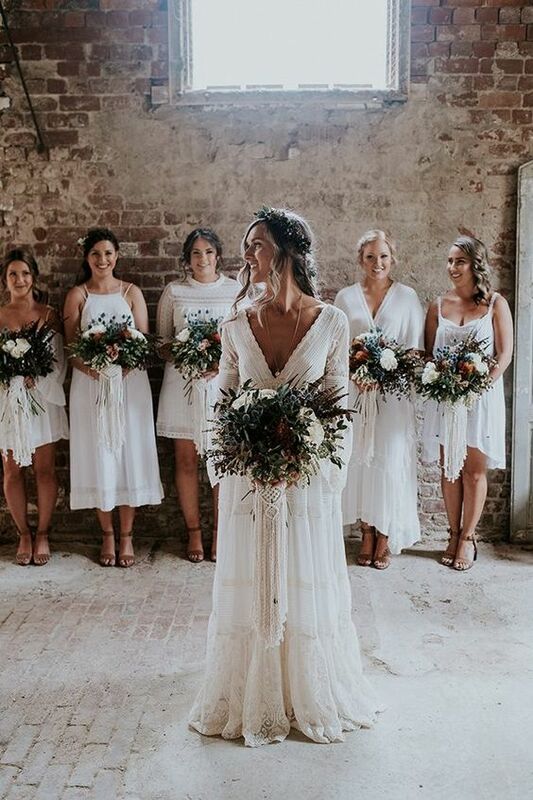 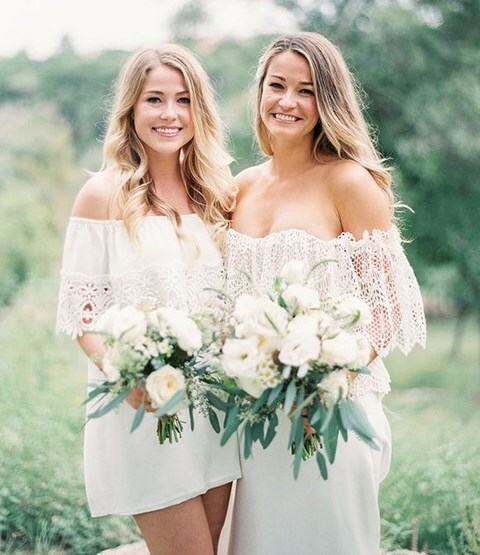 Whites and off-whites fit most of appearance types and complexions, they are classic and chic and will match most of wedding styles, especially trendy boho and gypsy ones. 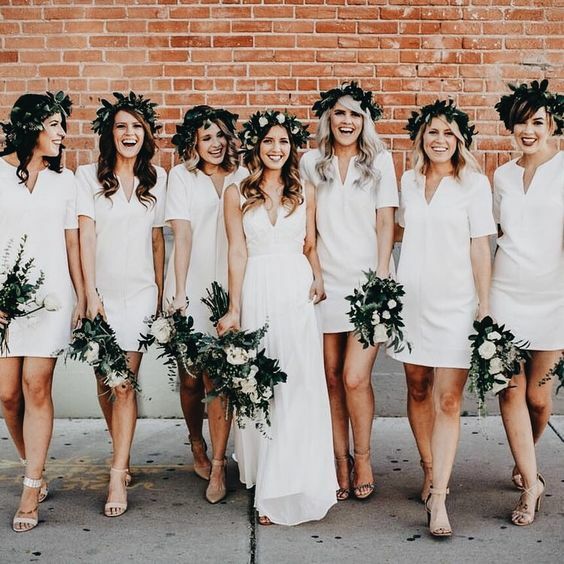 Besides, whites and off-whites are extremely refreshing and cool – white won’t heat as fast as bold or dark shades, which is important for hot locations. 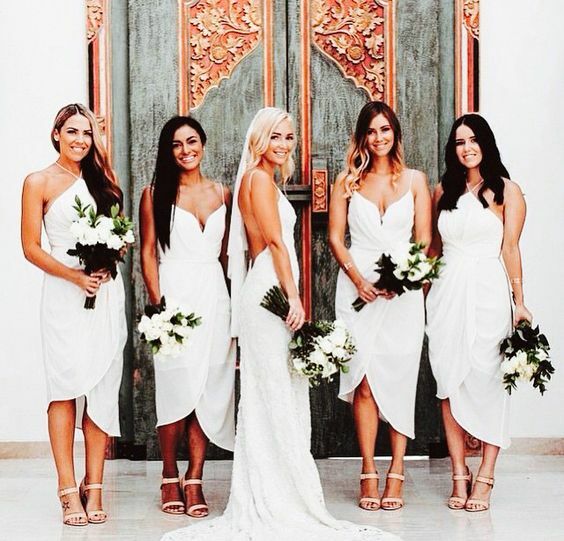 There’s a ton of ideas from fitting wrap midi gowns with a front slit to off the shoulder maxi lace ones. 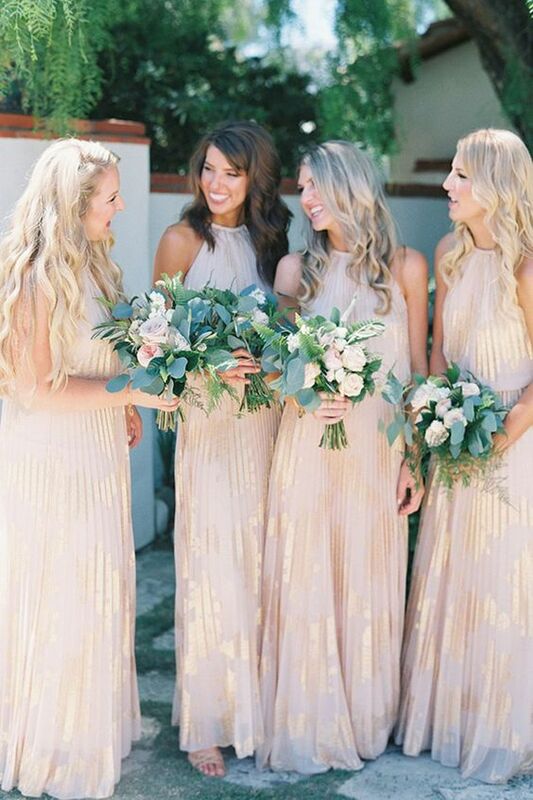 Go for mismatched dresses to make the look more interesting. 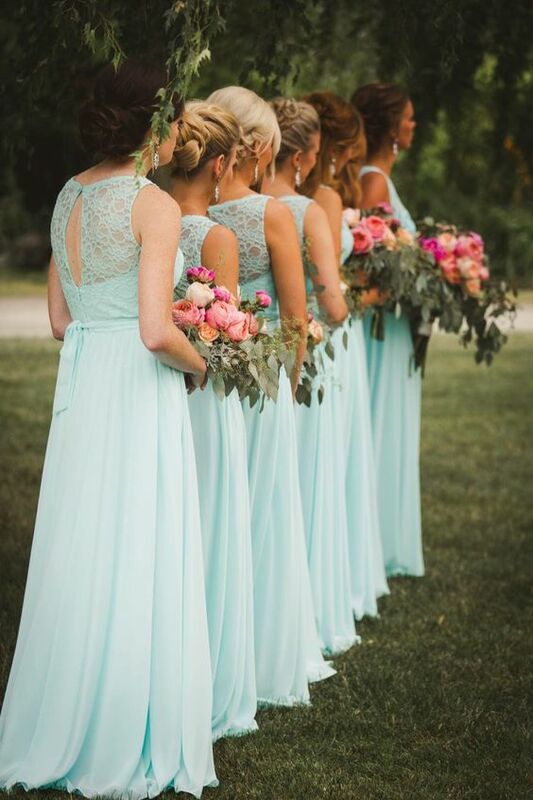 Pastels are always in trend and you may go for soft blue, pink, green and yellow shades for any wedding, from a modern to an industrial one. 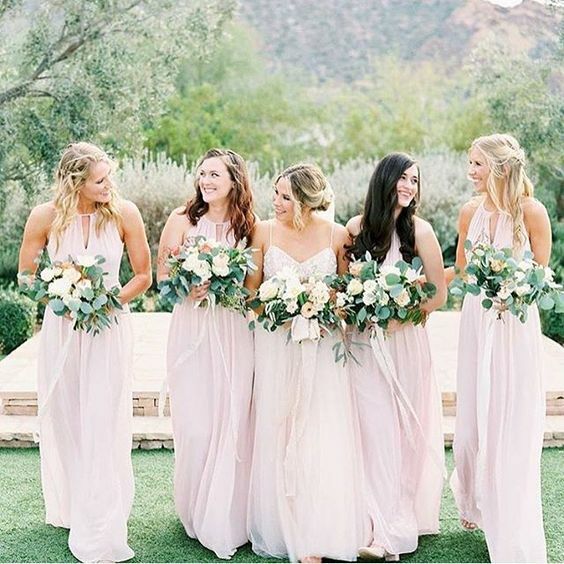 Blush is the most popular option as its’ romantic, feminine and fits most of appearance types, light blue is a great refreshing idea and a way to add something blue. 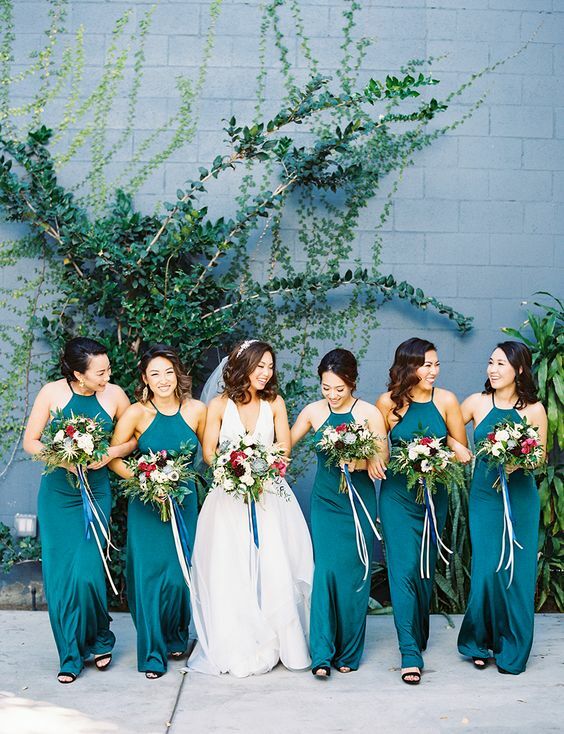 Greens and yellows are a cool idea for summer – these are truly summer colors. 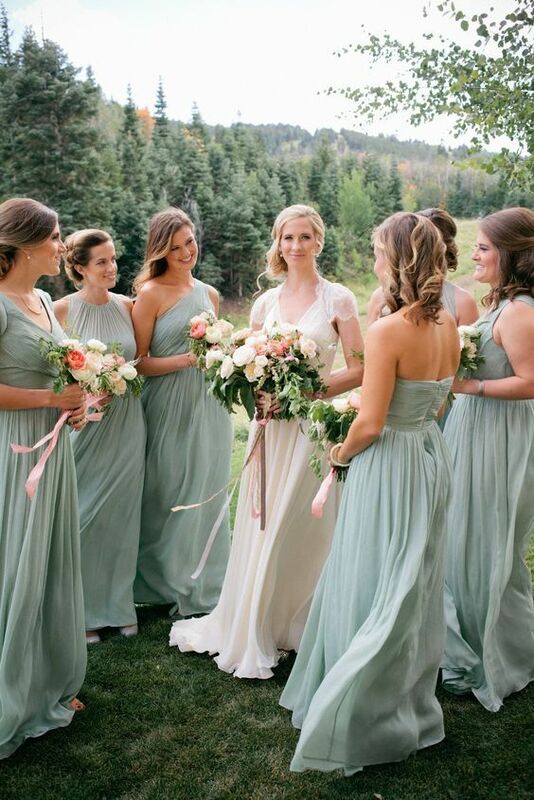 If pastels seem too ordinary, spruce up the dresses with catchy necklines and slits. 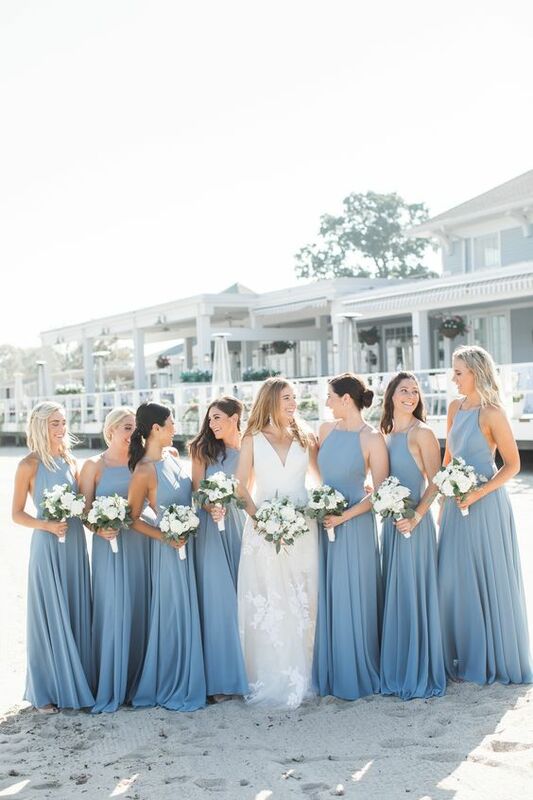 Summer is the time of bold and cheerful colors, and if your wedding color palette is bright, you may go for bold bridesmaids’ dresses, too. 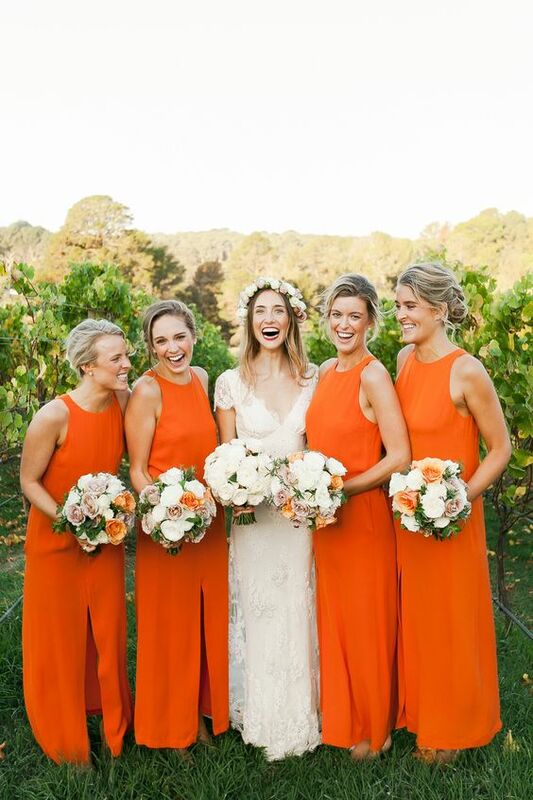 Orange, yellow, teal, bold blue, pink, red and much more – go for what you like and what fits your color scheme. 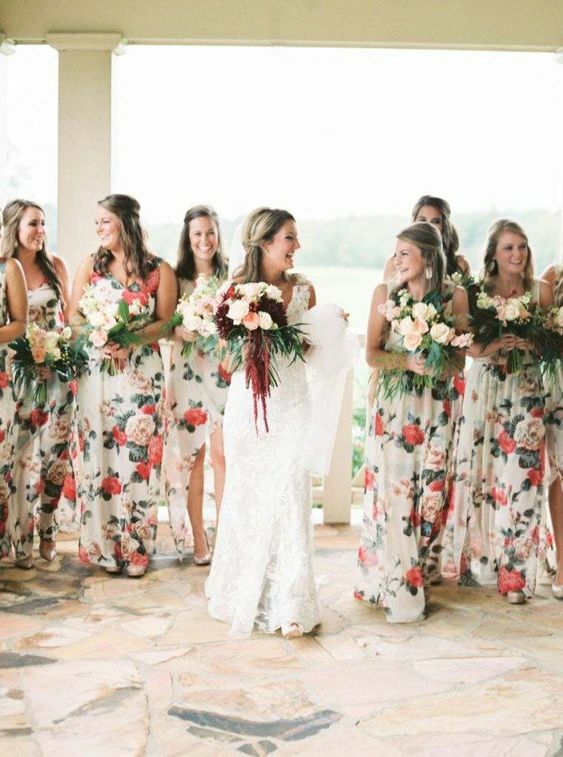 Bold floral prints are also welcome: summer is the time of blooms and cheerful floral prints are right what you need to embrace the season. 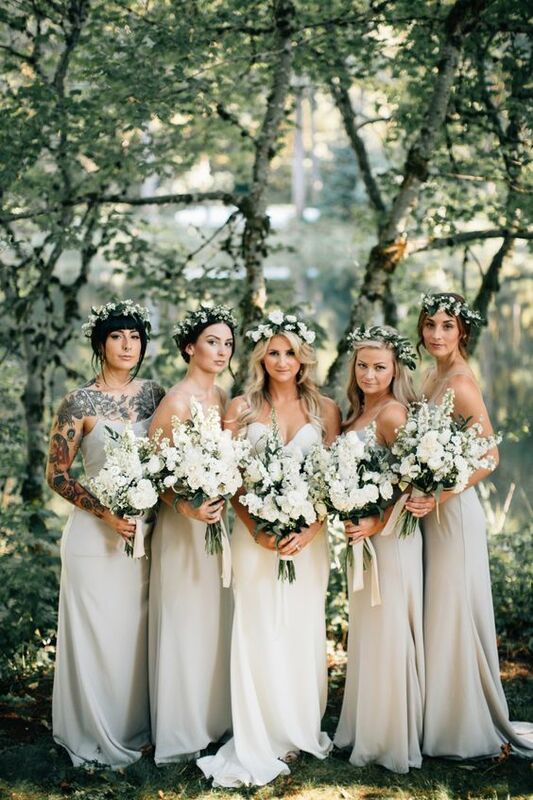 Stay in trend!